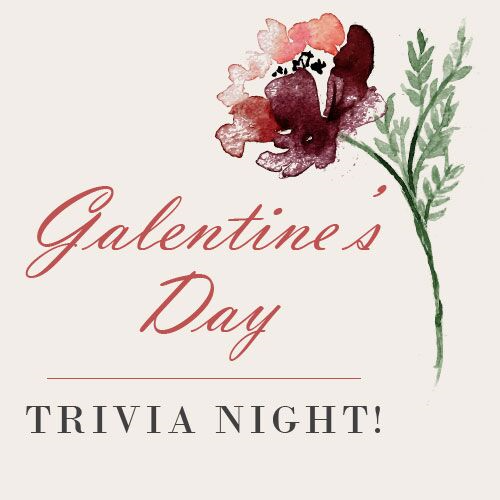 Galentine's Day is right around the corner and what better way to celebrate with your girls, than at another Trivia Night here at R.Riveter! (Don't worry, boys, you're invited too). Our last trivia night was such a hit that we decided to do it again! This go around, we will have an array of different category themes, one being "Chick Flicks" to go along with our Valentine's Theme. Tickets can be purchased through ticketmesandhills.com for $13 a person. Teams are limited to 6 players and we are have the space for 9 teams, so sign up quick! Reverie Cocktails and light bites will be provided.